Carol is a teacher of both Pilates and Yoga. I initially came to Pilates as a student of the method in the 1990’s. In 2004 I left my job in the City to train to become a Pilates practitioner. I am a member of the Register of Exercise Professionals and also hold a Diploma in Nutrition. I specialise in rehabilitation work and am a member of the Guild of Pregnancy and Post Natal Instructors. I also love teaching intermediate and advanced Pilates on both the mat and on the large equipment. I always like to be at the forefront of whatever is happening in the Pilates world internationally so regularly attend workshops and train with the leading names in the industry such as Jay Grimes (who was personally trained by Joseph Pilates) and Amy Alpers. I am currently studying for and working towards a Masters in Pilates with The Pilates Center in Boulder, Colorado – which is recognised as “the Harvard of the Pilates world”. 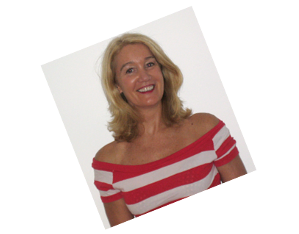 Carol is a member of the Register of Exercise Professionals and the Guild of Pregnancy and Post Natal Instructors.